Hello! 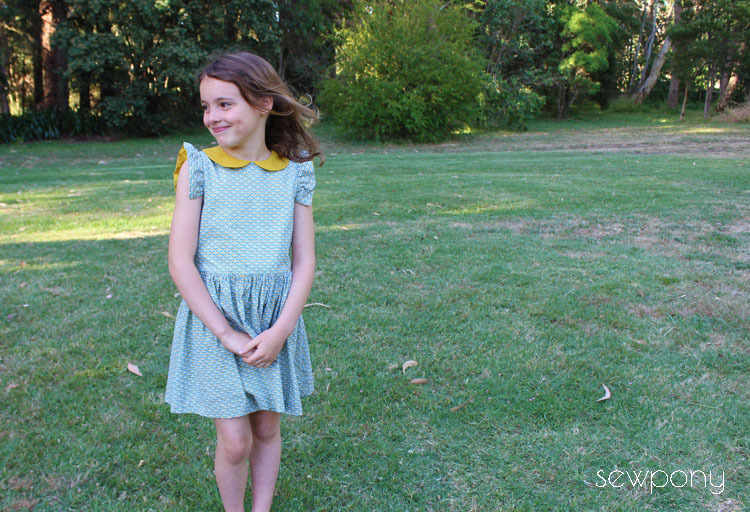 My first blog post for 2017.... Today I am sharing the dresses I made the girls for Christmas! We enjoyed a completely wonderful Christmas day (last!) year. The weather was perfect (about 31 degrees C) and we enjoyed our lunch under the shade of our big trees in the back yard. We had 25 people in total for Christmas day, including one baby and seven children. Everyone had such a lovely day. 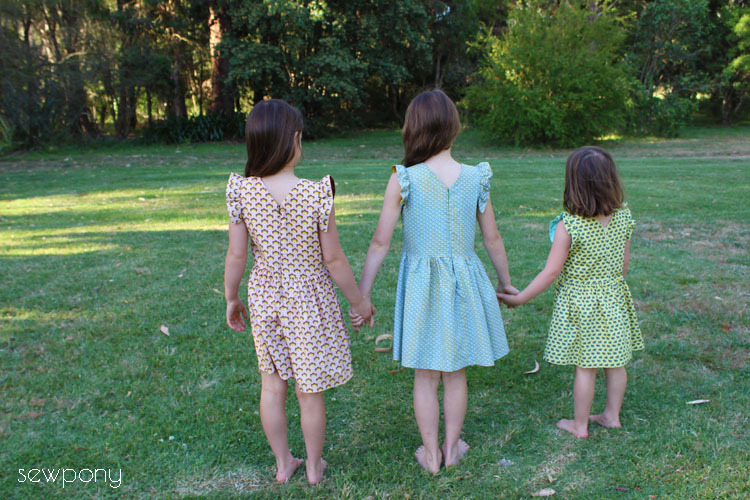 I did a lot of sewing for Christmas...a Lua sleepsack for my new nephew, a dress for my (kind of) niece, two skirts for two of my real nieces (all shared on IG), bags...and these three dresses! 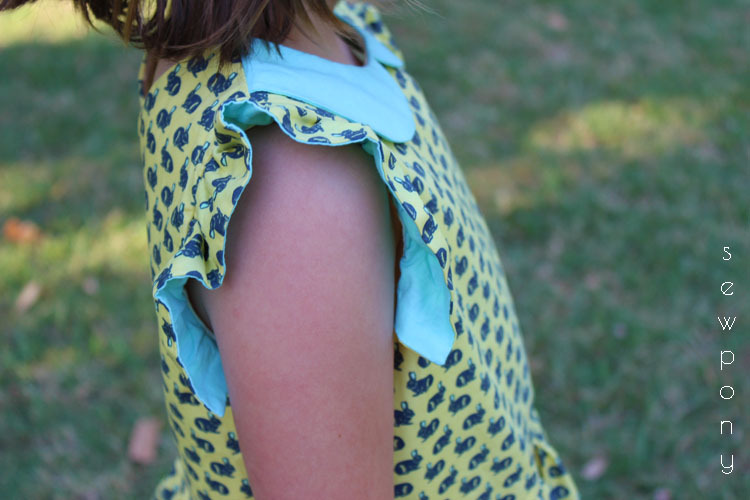 I purchased some Soft Cactus fabric from Maaidesign a couple of months ago intending to make Christmas dresses for the girls. If you read my blog and/or follow me on Instagram, you know I am a big fan of Soft Cactus and of Maaidesign. I love Soft Cactus fabric - the feel, the vintage style prints and the fact that they are extra wide to make them more economical. I made three tic tac toe dresses for the girls which were finished at 11 pm Christmas Eve! 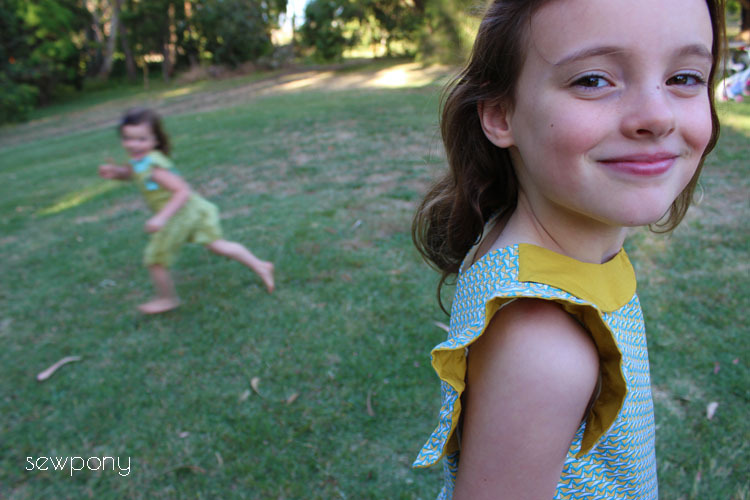 Isabella's dress is made from Folding boats-Vivid Blue Beeswax (which I notice is currently on sale).... with mustard half collar and sleeve linings (from my stash). 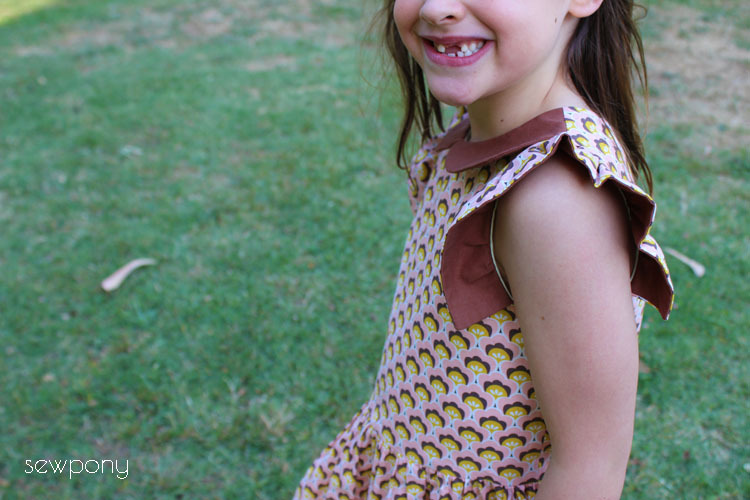 Emily's fabric is filled with the sweetest little bunnies! It is called Rabbit Race-Yellow. It is paired with some mint solid I had in my stash. 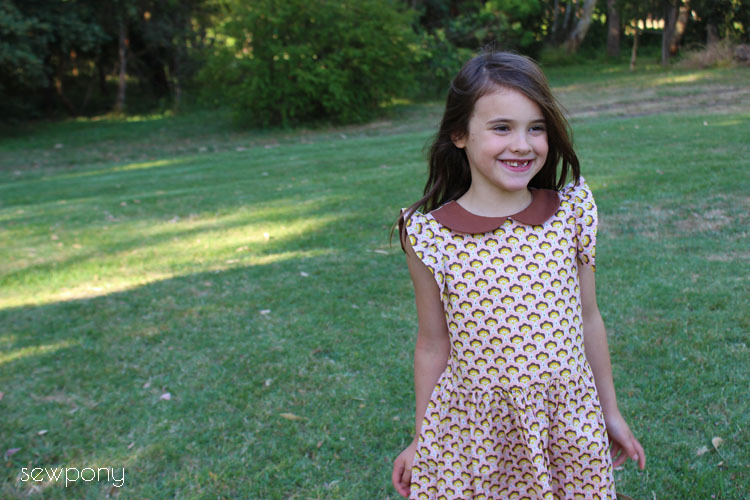 The newly toothless Juliette wears Seashore shelly-pink with brown half collar and sleeve linings. Please note: I adapted the original lines of the tic tac toe dress pattern by using half of the full collar for a slightly wider collar. I also added approximately 15cm to the width of the skirt pieces since I was not using pockets and wanted to use up as much of the lovely fabric as possible! I took these photos a few day ago with the addition of a belated Christmas present that travelled across the oceans...Three beautiful Soft Cactus dolls. The story behind these gorgeous gifts is that I was looking on the Belgian Soft Cactus site a few days before Christmas to see if I could spy some photos of their new fabric collection. While I was looking around the site, the picture of the face of a stunning doll popped up. I then discovered that Soft Cactus not only design and sell beautiful fabric, they have also very recently released five amazing dolls. 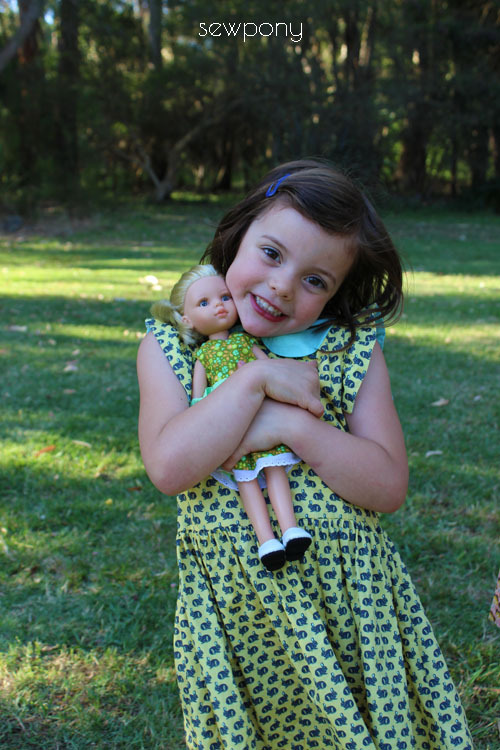 In all my years of being a Mum, never have I seen such beautiful dolls!! 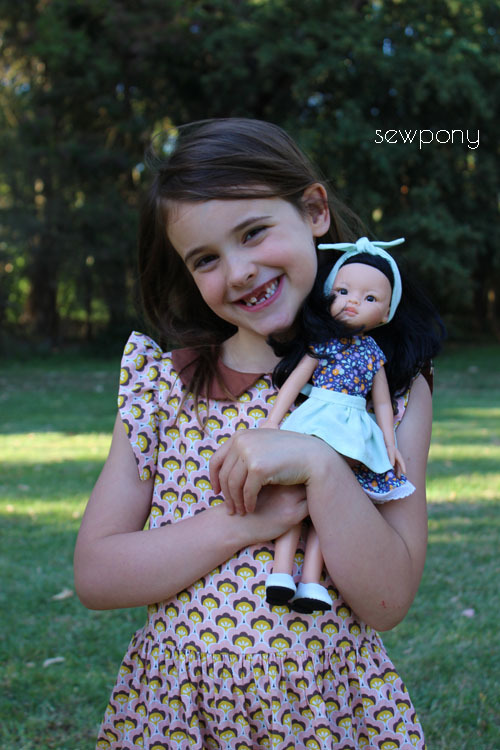 Dolls that are sweet, childlike, innocent and so beautifully crafted. Knowing that the girls' English family (Stefan's mum, sister and two brothers plus families) were sending money for me to buy them a gift, I decided to order one each for them. I knew they wouldn't arrive on time, since I ordered them on around the 20th of December. But I decided they were so special that they were worth waiting for...even by three young girls! For Christmas day, I made the girls each a sweet little personalised card with photo of the dolls with a message saying they were on their way! The girls could then enjoy the anticipation and the excitement of waiting for the special card from the post man letting us know they had arrived. 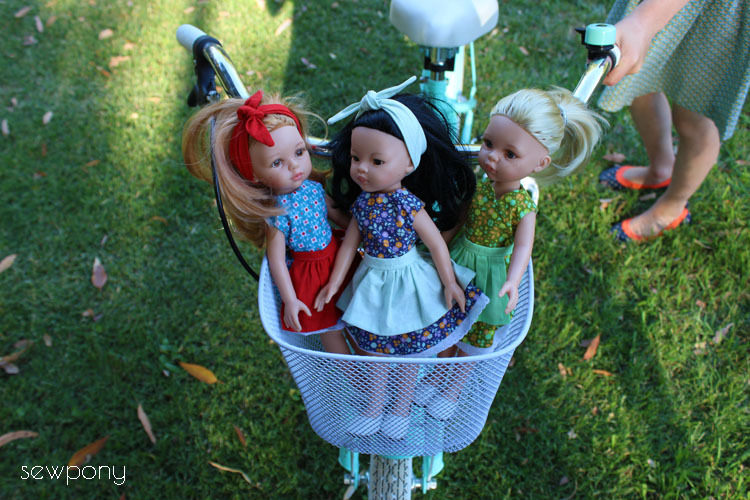 The dolls arrived two weeks after I ordered them and they were such a great choice for us! Outside our local milk bar/post office, the girls squealed with excitement as they ripped open the post packaging to find their special dolls. The dolls arrived unclothed (except for some modest underwear and little shoes), but they come with a little package of sewing goodness: a bundle of five pieces of Soft Cactus fabric, velcro, lace and a little booklet with instructions and pattern to create your own outfit - including reversible dress, apron and head scarf. 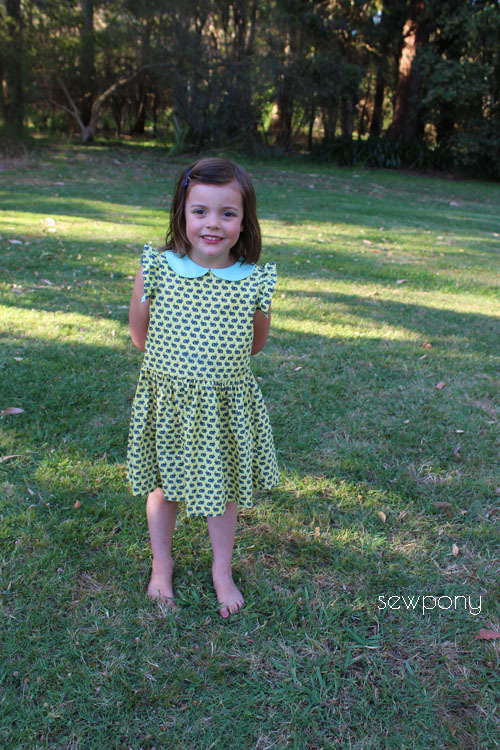 They are each so beautiful and we have been having so much fun creating clothes for them. Emily has Anna - blonde haired, blue eyed and dewy skinned. Juliette has Liu - she comes from Japan and has jet black hair. Isabella has Lotta - strawberry blonde haired, hazel eyed and freckled. Isabella loves taking them for rides on her new mint bike from Santa! And guess what? I actually made myself a Soft Cactus dress too - I will share a pic on Instagram soon - as I am a bit too camera shy for a blog post! I hope you all had a lovely Christmas too. We are enjoying our summer holidays for over two more weeks so the girls and I are having a great time...sleep ins, play dates, beach time, cousin time and general mess all over the house! Gorgeous dresses, gorgeous girls! 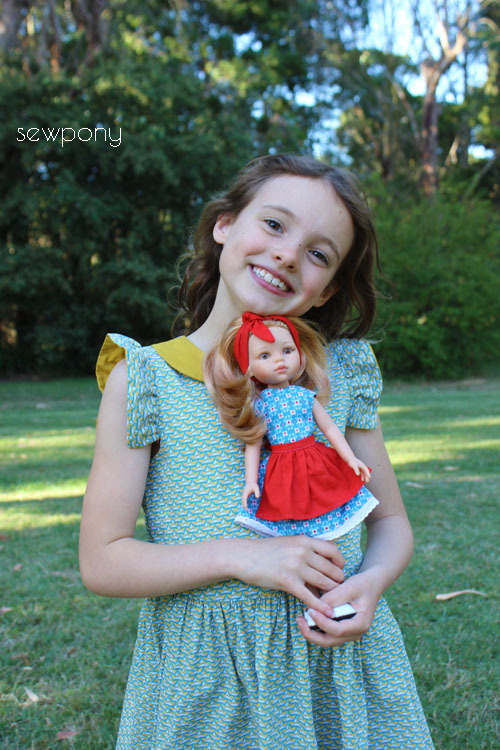 And I love those dolls too, what a great way to get them into sewing! Can't wait to see what you've made for yourself!! 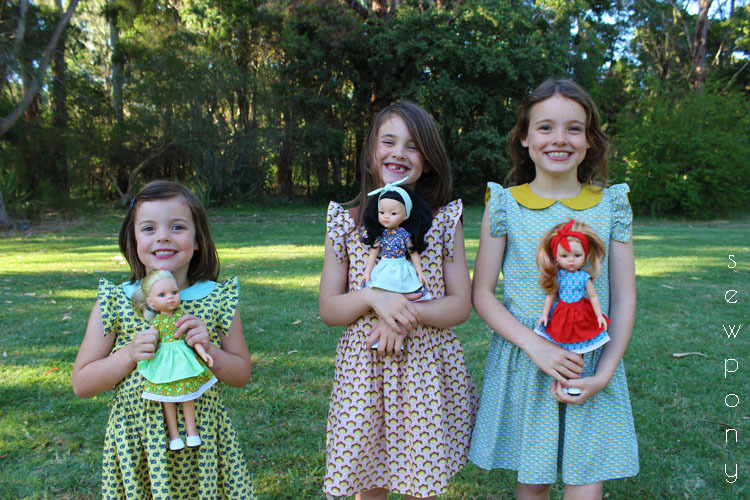 Love the beautiful dresses, the wonderful dolls and all the amazing dolls' clothes you've shared on instagram. What a great idea to give the girls cards with their dolls' photos - it must have been so exciting waiting for them to arrive and opening the precious parcel! I love these gorgeous dresses! And the dolls too, we almost have 4 of them.